Note the pinky subhilt and double scallop on back of the grip. It's a subhilt that can be carried and drawn from concealment without the traditional snagging problems and provides the same advantages in forward grip as a karambit without requiring any needle threading under stress. The rear contour allows for a hammer grip that is also palm reinforced to prevent any slipping in the hand. 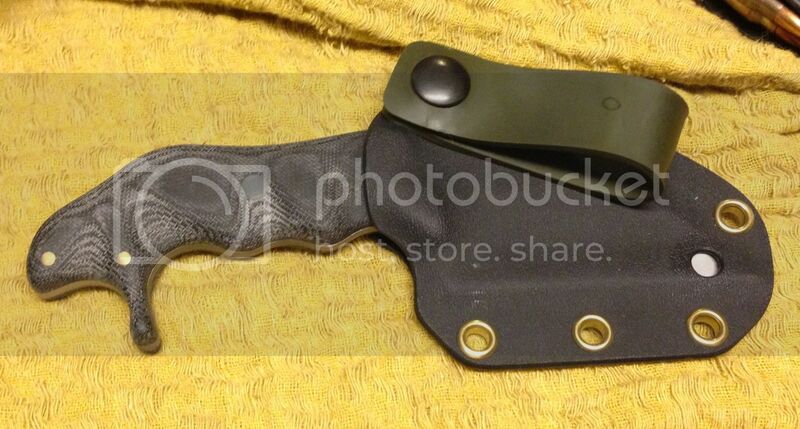 The Kydex sheath comes with a belt loop attachment and the knife has a positive lock in the sheath. The knife arrived lightly oiled and razor sharp. The pinky subhilt is almost unnoticeable when held but provides a solid grip when drawing the knife. Size is perfect for concealment but large enough to handle most tasks. I had a nice piece of dried hardwood in my back yard so I decided to play around a little with the mandrake. 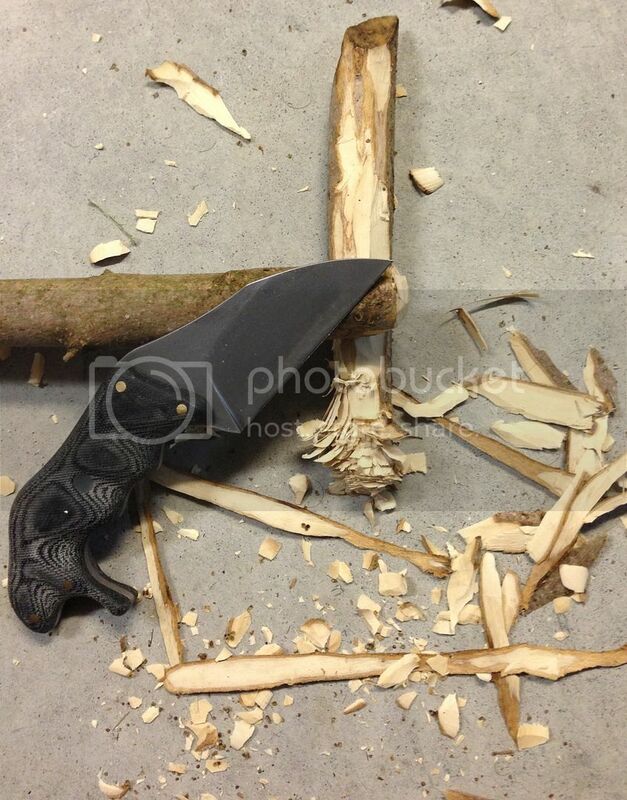 I did some skinning of the wood and realized the pinky subhilt took alot of pressure off my wrist. Its another contact point and help control the knife. In firearms classes I teach points of contact help manage recoil and to keep the weapon on target. Both are control issues, and this is along the same lines. I ended up cutting all the way through the roughly 1.25" stick. 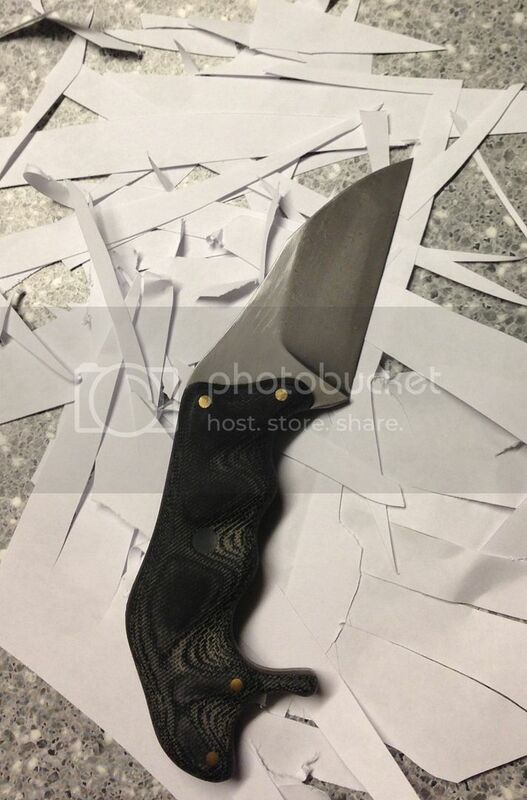 I finished up todays testing of the mandrake slicing through printer paper. After cutting through a pretty tough stick of hardwood, the Mandrake held its edge as it should. 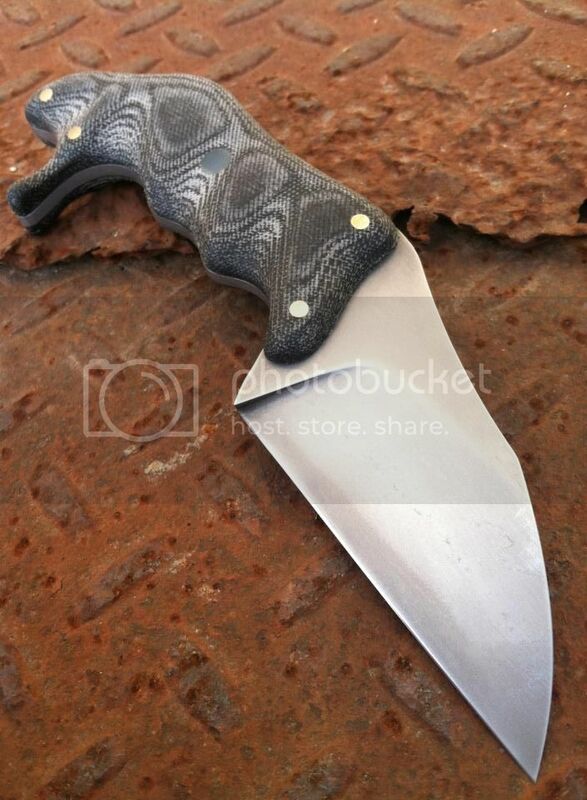 I highly recommend the Will Capron Mandrake if you are in the market for this style of knife. It has features that are appealing to those who are looking for a working knife with a custom look. 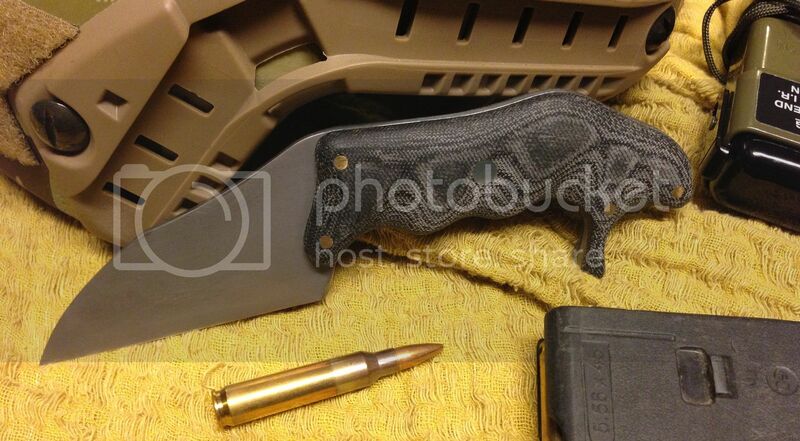 It would fit perfectly on a belt or tuck away great in a Plate Carrier. I look forward for more unique designs coming out of Wills shop, the Mandrake is a hit.